The Farmfoods European Senior Masters offers amateurs the unique opportunity to play with, partner and watch, at close quarters, some of the finest European Senior Tour golfing legends. The event is free to attend, with names such as Paul McGinley, Ian Woosnam, Sam Torrence and host, Peter Baker, all in competition. The event will start with a Pro-Am on Thursday. Here 24 teams of 3 amateurs will partner a handpicked European Senior Tour professional for 18 holes on the Arden Championship Golf Course. The format of the event will be better ball with the best two nett stableford scores from the group counting as the team score. Following play all amateurs and professionals are invited to the Official Pro-Am dinner which will include a sumptuous three course dinner, entertainment and a prize giving presentation following the days play, held in the VIP marquee at the Forest of Arden. All players will also receive a limited-edition Players Pack upon registration. 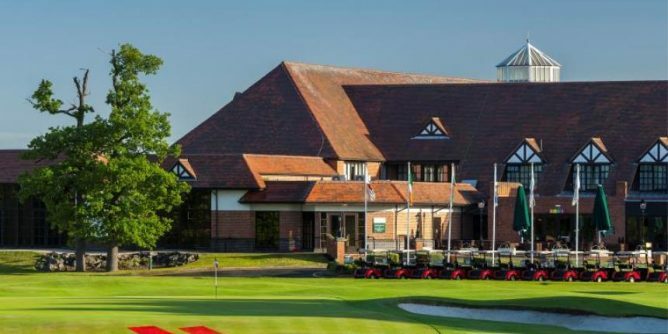 Here an amateur partners a European Senior Tour professional for 18 holes on Friday and 18 holes on Saturday around the Championship course at the Forest of Arden. They will also be accompanied by another professional-amateur pairing for the rounds. The pair will play better ball for the team prize but the professional will record their own individual score as these two days will count towards the over score for the Farmfoods European Senior Masters title. Amateurs are treated to buffet lunch on both of the days they compete along with their professional and are also welcomed to the informal drinks reception on Saturday after play has concluded, where the Alliance team champions will be crowned. This is the final round of the 2017 Farmfoods European Senior Masters and will see all 54 professionals complete 18 holes on the Championship course teeing off in reverse score order, the tournament leaders due to tee off from the 1st tee at approx. 12.00 noon, in three balls. This final days play will be just professionals with the leading player crowned 2017 Farmfoods European Senior Masters champion around 4.30pm on the 18th green after play is concluded.